If patients are looking for effective and permanent hair removal, cosmetic laser technology can be the best option. Clinica Lase offers non-invasive laser hair removal to get rid of unwanted hair. 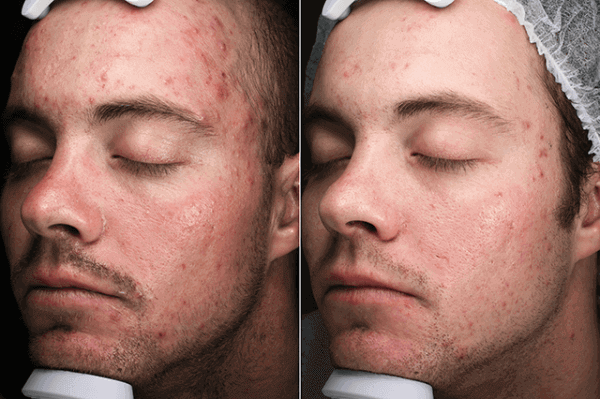 It is a suitable treatment for men and women with different skin types, using the advanced Candela Gentle-LASE Alexandrite medical grade laser machine. This is innovative laser technology that has a dynamic cooling device that is going to make the process more comfortable for patients. Patients are required to stay out of the sun and refrain from tanning procedures for two weeks before treatment. This does include using fake tanning solutions too. If you have been exposed to the sun and UV, let your clinician know. In addition, patients should not wax, tweeze or use any other hair removal devices. This includes bleaches. These forms of hair removal should be avoided for four weeks before treatment. Exfoliating products should be avoided for around one week before laser hair removal. This will include any products that contain vitamin A, lactic acid, glycolic acid and salicylic acid. If you start to take any new medications, make sure that you let your clinician know. Before treatment begins, the area must be clean. This means that there should be no makeup applied to the skin nor any lotions, creams or serums use. Of course, this can sometimes be unavoidable, so we ask that you tell a clinician so that it can be cleaned prior to treatment. The hair must be no more than 1-2 mm long. This means that you should shave or trim the hair before laser hair removal. There is a shaving fee of $20 if you would like the clinician to shave or trim the area. Patients can expect to fill out a consultation form before laser hair removal. This will involve answering a series of questions about your medical history, as well as your skin types and any previous treatments that you have had. Patients will also have a private discussion with an experienced and trained laser hair removal clinician. You can ask any questions that you may have about treatment, as well as find out more about the procedure. A tailored plan will be created for the best results. The small patch test will see if there is a skin reaction and sensitivity. A lot of patients describe the treatment as a rubber band flicking their skin, but it is generally well tolerated. 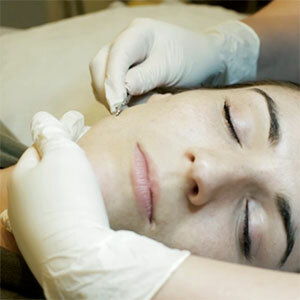 In addition, laser hair removal has been described as similar to waxing and tweezing. At Clinica Lase, safety of patients is always a priority. That is why we have state of the art medical grade laser machines in both our Carlton and Ballarat clinics. All of the laser clinicians that perform the hair removal have government approved laser safety qualifications. In addition, an experienced clinician will complete a personal consultation before any treatment begins to make sure that they have all of the important information. This will minimise the risk of any complications. All new clients will have a small test patch for laser hair removal. This will ensure that the skin does not react negatively to the treatment and it will also test the patient’s comfort level. It is normal for patients to experience redness of the skin, as well as some minor swelling after laser hair removal. The skin can also feel like it has been mildly sunburnt after hair removal. You can expect for these after effects to last around two hours up to three days. A good way to deal with any discomfort that you are feeling after laser hair removal is by applying a cold compress or ice pack to the skin. If any discomfort lasts more than three days, you can talk with a clinician for advice. The hair will begin to shed after a couple of days. While a lot of patients think that this is the hair growing again, it is only shedding and it is not something to worry about. This is a normal and expected part of the treatment and you can expect some shedding for up to two weeks after laser hair removal. A minority of patients can experience some crusting after laser hair removal. It is important not to pick this crusting and to let it shed naturally. You should contact your clinician if you do experience this after effect. It is important for patients to avoid exposure to the sun and tanning for around two weeks after having laser hair removal. Always apply a SPF 30 for areas that have been treated, as the skin will become photosensitive.